Ideal for long range use. 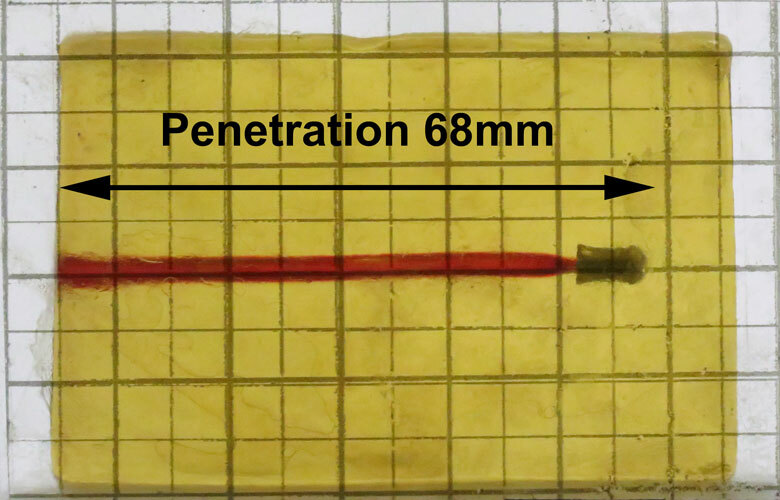 High penetration means you need to choose your quarry. H&N Sniper Magnum 14.97 Grain .177 caliber pellets offer the potential for excellent long-range hunting - so long as your air rifle's barrel likes them. 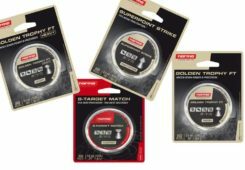 These pellets also have found a niche with some enthusiastic Field Target shooters due to their flat trajectory and consistent head sizes. 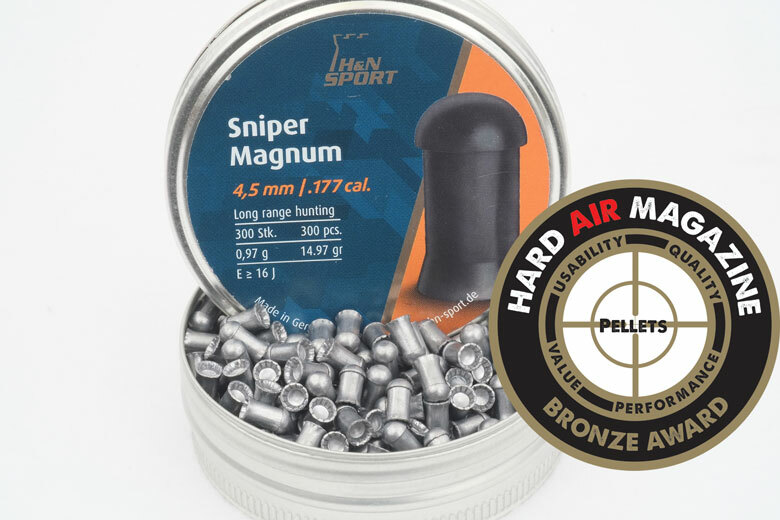 Sniper Magnums easily earn a HAM Bronze Award. 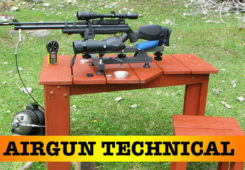 They're definitely worth trying if you're a long range airgun shooter. H&N Sniper Magnum 14.97 Grain .177 caliber pellets have a very unusual design. It’s a “domed cylinder” shape that includes a “pleated” skirt, obviously to engage the barrel’s rifling. 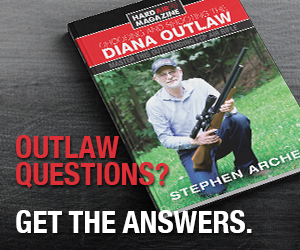 There’s little sign of the traditional diablo shape we associate with airgun pellets. 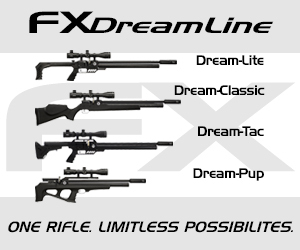 This is a very long and heavy pellet, designed for long range hunting. 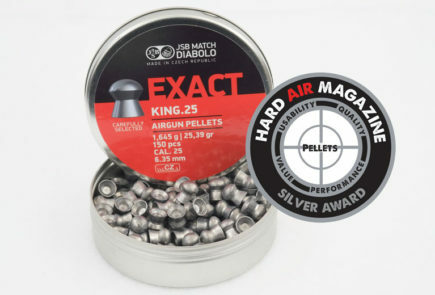 But the high – 0.025 – Ballistic Coefficient makes these H&N Sniper Magnum pellets also very suitable for Field Target competition, if your air rifle’s barrel likes them. For such a specialist pellet, the price is not high. At just 3.33 Cents each, H&N Sniper Magnum 14.97 Grain .177 caliber pellets are only a little more expensive than the average for .177 caliber pellets. 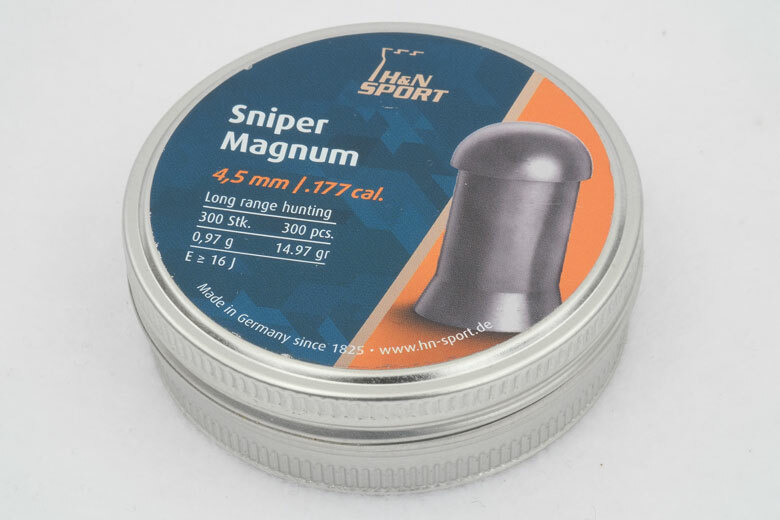 The manufacturer claims that H&N Sniper Magnum 14.97 Grain .177 caliber pellets are supplied in tins of 300. The tin tested by HAM contained 302 pellets. A happy over-delivery by H&N! The claimed weight for these pellets is 14.97 Grains. The average weight of the pellets tested by HAM was 14.94 Grains. That’s just 0.02% from the claim and identical for all practical purposes. 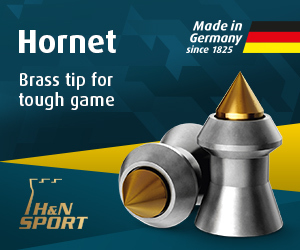 H&N also claims that Sniper Magnum pellets are exceptionally accurate and suitable for hunting all kinds of game at long ranges. They also say that the pellet’s special shape reduces drag which results in a flat trajectory and excellent downrange energy. 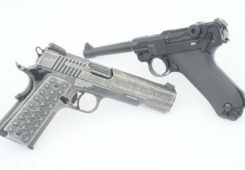 Of course, accuracy will be a systems combination of pellet and gun, particularly the barrel. 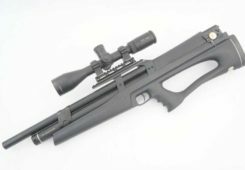 However, there’s every indication that the H&N Sniper Magnum 14.97 Grain .177 caliber pellets will be accurate in a powerful air rifle. In HAM testing, we established a Ballistic Coefficient of 0.025 for the H&N Sniper Magnum 14.97 Grain .177 caliber pellets. This is a very high figure for .177 caliber. The result is a flat trajectory and high retained energy downrange, just as claimed by H&N. No damaged pellets were found in the tin of H&N Sniper Magnum 14.97 Grain .177 caliber pellets tested by HAM. Head diameter was extremely well controlled. 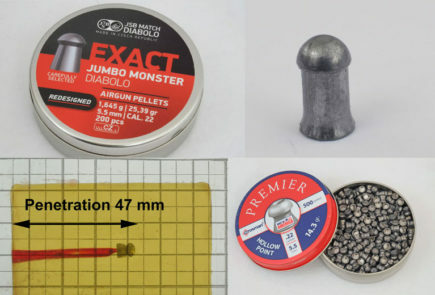 In fact the 50-pellet sample tested by HAM featured only two diameters – 4.50 mm and 4.51 mm. 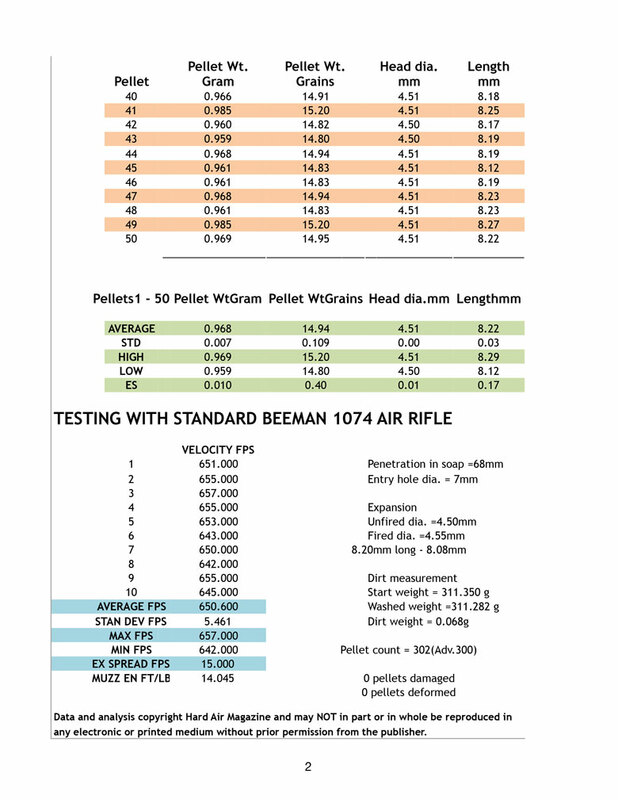 Fully 72% of the pellets tested had the 4.51 mm head diameter, as you can see from the chart below. The variation between the smallest and largest dead diameters was thus just 0.22% – far above average. Most heavy pellets tested by HAM achieve their weight partially by having oversize head diameters. Refreshingly, this is not the case with the H&N Sniper Magnum 14.97 Grain .177 caliber pellets. They combine heavy weight with regular head sizes. The average weight of the H&N Sniper Magnum 14.97 Grain .177 caliber pellets was 14.94 Grains. However, weight consistency was not as good as the consistency of head diameters. The variation between the lightest and heaviest pellets tested by HAM was 2.70%. That’s actually a reasonably average figure among the pellets tested by HAM. The most common weights were 14.83 Grains and 14.94 Grains. In each case, 10% of the H&N Sniper Magnum 14.97 Grain .177 caliber pellets tested by HAM had these weights. 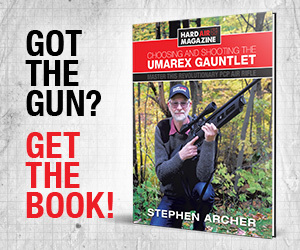 Only one pellet – that’s 2% – actually weighed exactly the claimed 14.97 Grains. As always, all pellets were weighed using HAM’s incredibly-precise, laboratory-grade, milligram balance. This gives precise, accurate and consistent measurements. Average length of the H&N Sniper Magnum 14.97 Grain .177 caliber pellets tested by HAM was 8.22 mm. 16% of the pellets tested had the most common length of 8.23 mm, as you can see from the chart below. Obviously that one, short pellet was unfortunate. It caused the difference between the shortest and longest pellets tested by HAM to be 2.09%, which is rather less than average. In any pellet-manufacturing process, a certain amount of dirt, dust and junk inevitably finds its way into the tin. However the H&N Sniper Magnum 14.97 Grain .177 caliber pellets were extremely clean – about the cleanest un-coated lead pellets the HAM Team has ever tested. The photograph below shows the results of carefully washing the pellets. There’s almost no residue there at all. In fact, it’s 0.0035 Grains of dirt for every 100 pellets. This is excellent performance from H&N! Using the Chairgun software package to analyze downrange performance, we can see that the H&N Sniper Magnum 14.97 Grain .177 caliber pellets perform very well. 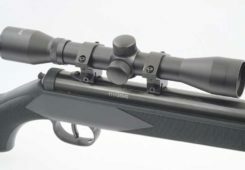 The high Ballistic Coefficient delivers effectively flat trajectory between 9 Yards and 33 Yards, even using HAM’s standard Beeman 1074 test gun. 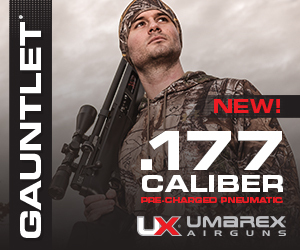 With a more powerful air rifle, performance would be even more impressive. 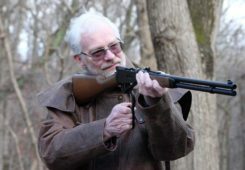 The Chairgun data shows that the H&N Sniper Magnum 14.97 Grain .177 caliber pellets retain 70% of their Kinetic Energy at 39 Yards downrange and 60% still even at 56 Yards. This performance justifies H&N’s claim that these pellets are suitable for long range hunting. 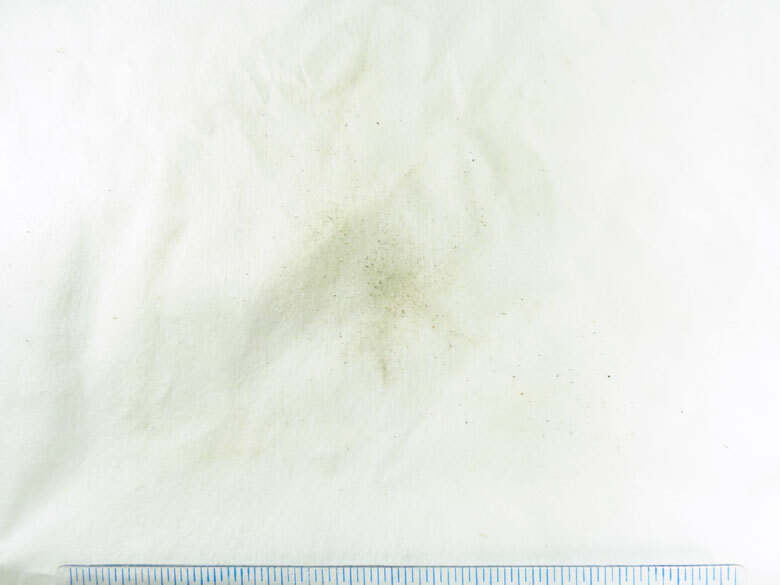 As we can see from the photograph below, the H&N Sniper Magnum 14.97 Grain .177 caliber pellet achieved record penetration in our ballistic soap test. The entry hole in the soap was 7 mm diameter. 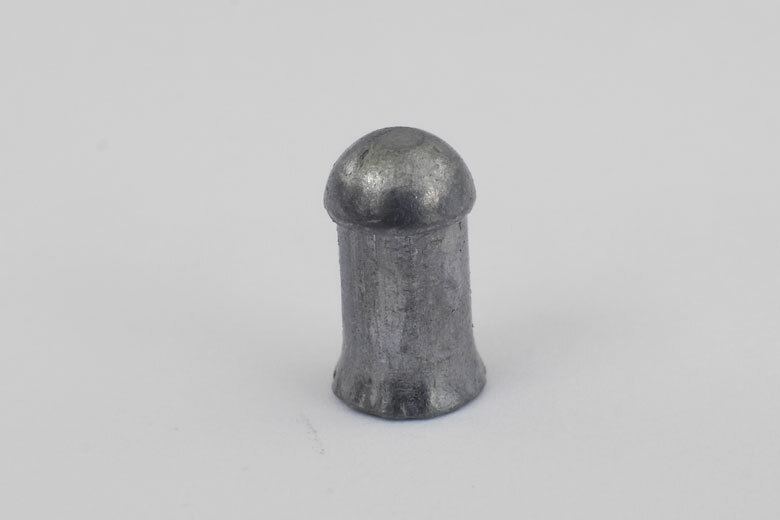 This pellet shrank on impact from 8.20 mm long to 8.08 mm – a slight reduction of 1.5%. The diameter increased from 4.50 mm to 4.55 mm – about 1%. 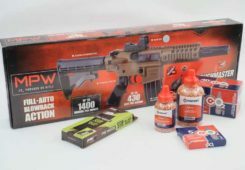 The strong penetration and small expansion delivered by the H&N Sniper Magnum 14.97 Grain .177 caliber pellets indicates that they would probably be most effective against larger game. They would blow clean through a smaller bird or animal, particularly at close ranges. There was no padding inside the tin. However the Sniper Magnum pellets suffered no damage in transit, in spite of there being some free space that allowed them to rattle around somewhat. Clearly these are robust pellets. 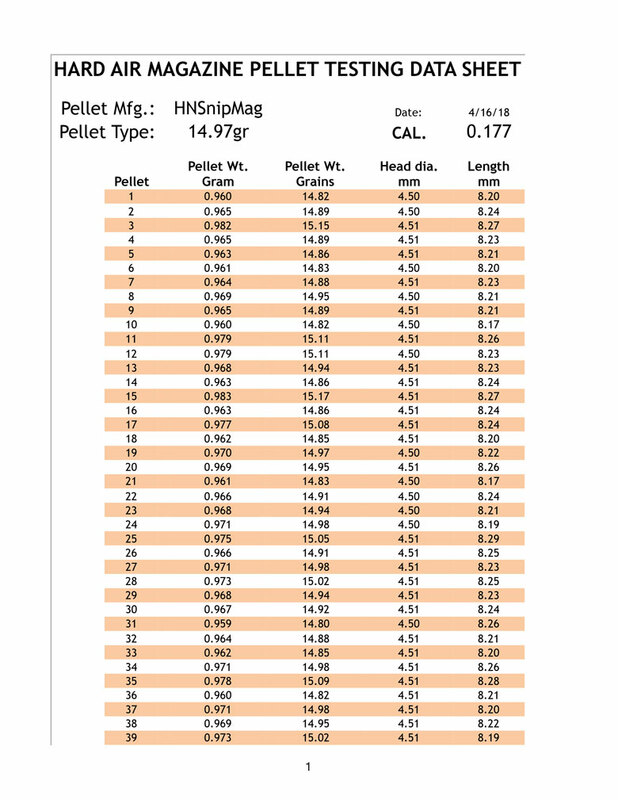 As a specialist product, H&N Sniper Magnum 14.97 Grain .177 caliber pellets are not likely to be available in your local big box sporting goods store. 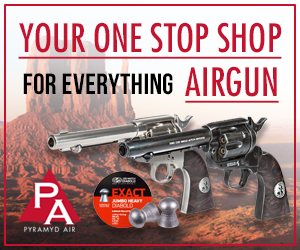 However, that’s not a great disadvantage as they are easily obtained from online airgun specialists such as Pyramyd Air. For background details on HAM’s Pellet Test Review methodology, check out this link. 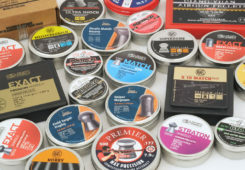 HAM Pellet Awards come from the most rigorous, professional and comprehensive pellet testing by any independent publication. They are the result of much precise measurement and analysis using high precision measuring devices and highly-experienced testers. 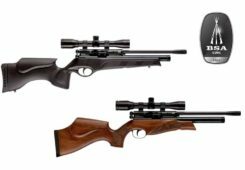 Note that accuracy is a product of the complete “system” of airgun, scope, atmospheric conditions and shooter ability – not the pellet alone. This means that no pellet test review can predict the accuracy of a particular pellet with YOUR individual air rifle. That’s why we do not measure accuracy in these pellet tests. 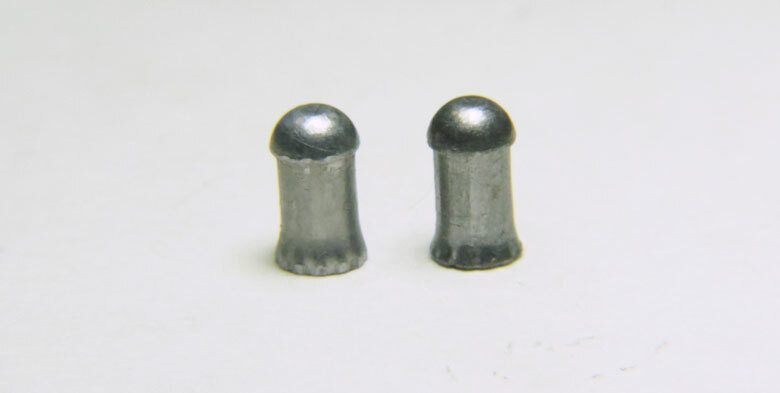 What HAM Pellet Awards do recognize is manufacturing consistency. Inconsistent pellets definitely will be inaccurate, consistent pellets are much more likely to be accurate. HAM Awards also recognize value. 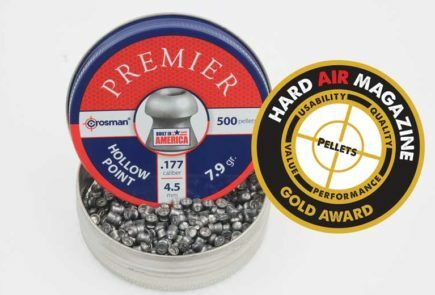 There’s considerable variation in the price of airgun pellets. This means that an 8 cent pellet needs to score higher than a 2 cent pellet to achieve an award. For full details of the HAM Pellet Award scoring methodology, please check out our Pellet Testing page. For a full listing of HAM-tested Ballistic Coefficients, please see our Ballistic Coefficients page. This entire article including scoring, data etc is Copyright Hard Air Magazine and may NOT in part or in whole be reproduced in any electronic or printed medium without prior permission from the publisher.